Ziggy. . Wallpaper and background images in the Ziggy Stardust club tagged: david bowie ziggy stardust glam. 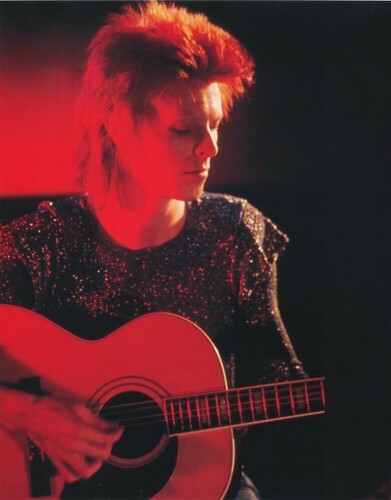 This Ziggy Stardust photo contains acoustic guitar, snap brim hat, guitarist, and gitara player.